Photography teacher Jo Newton ran a small workshop at Penrith Regional Gallery and the Lewers Bequest over the school holidays. Participants made Lumen prints, a process related to the photogram which uses photographic paper but requires no darkroom. After an hour and a half in the sun black and white photography papers reveal some beautiful colouration. ﻿﻿﻿﻿As part of the Colour and Light exhibition at the Lewers Learning Centre, Jo has installed 12 pinhole cameras around the gardens. The exposure started at the opening of the show and will conclude 3 months later when the photos will be printed. The images these cameras will produce are called solargraphs, as they document the path of the sun across the sky over weeks/months, and students at the workshop also made their own cameras loaded them with photo paper to install in their gardens at home. 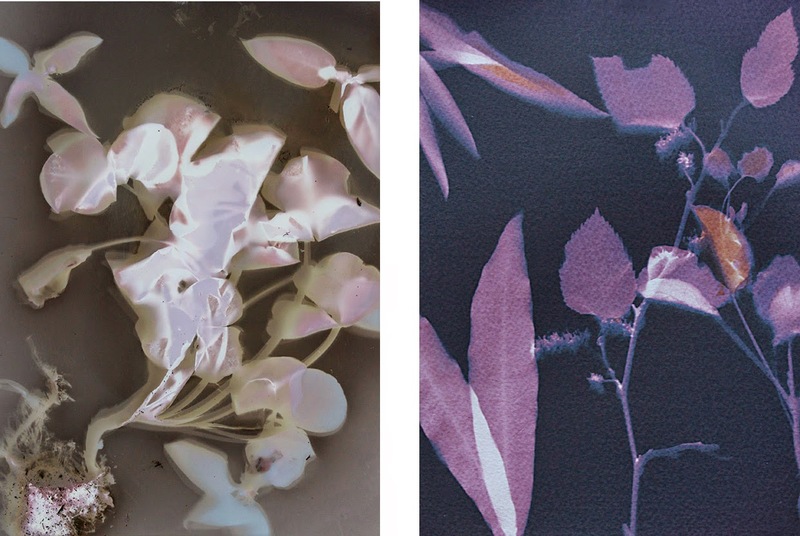 More information about Lumen printing can be found here, and some fabulous examples are here. There are some wonderful images of solargraphs on flickr. If you'd like to make your own camera there is a good explanation of the process on instructables.